Welcome to The Ton’s Fall 2018 Release blog hop! 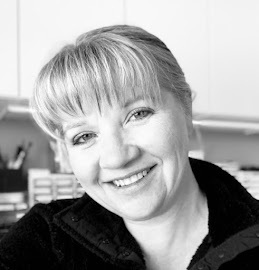 Hopefully you arrived here from Laurel's blog, I'm thrilled to be participating as a guest in this hop today. Once again, The Ton Stamps has put together a stunning release and is debuting 11 new stamps and a new pop up floral die. There are free gifts with purchase promotions as well. There is also a little extra surprise for today since it is World Cardmaking Day! 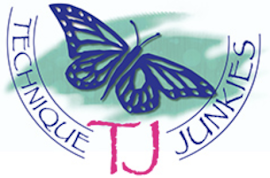 The Ton’s blog explains all the details. For today’s hop, there are giveaways on each stop so be sure to leave a comment on each blog for a chance to win a stamp set of choice from the new release! The comment period for this giveaway will close on Monday, October 8 at 11:59pm EST, so don't delay! 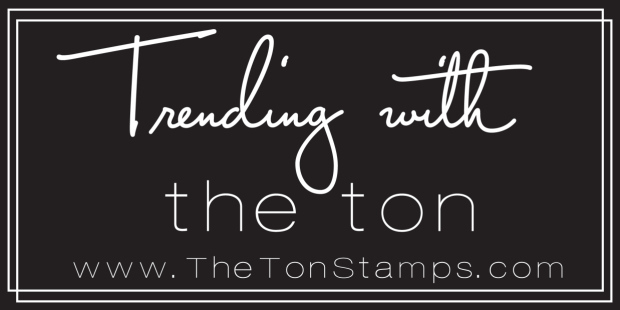 The Ton Stamps always has such innovative and gorgeous designs, from simple to ornate, but always elegant. The stamp set Blizzard Hugs spoke to my Minnesota heart. I happen to love snowflakes and always anticipate both the first one AND the last one of my Minnesota winter season. LOL. These snowflakes at first glance seem to be a simple design, but when stamped, pack a beautifully frosty punch! I chose to create a very clean and simple winter notecard set. 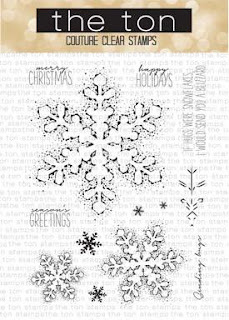 I used my Original MISTI to stamp both the snowflake and greeting simultaneously in Arctic Sky ink. I stamped three times, to give a nice crisp deep color. I then, leaving my stamps in place on the lid of my MISTI, cleaned my stamps, and stamped all of my cards once again with embossing ink exactly over my Arctic Sky ink, then heat embossed with clear embossing powder. The simplicity of these cards is belied by the frosty look of the snowflake. The delicate pattern of dots that surround the snowflake give a faint airbrushed look to the image. These are cards are incredibly easy to mass produce, and is a project I plan to do again with my group of young teen crafters later this month. 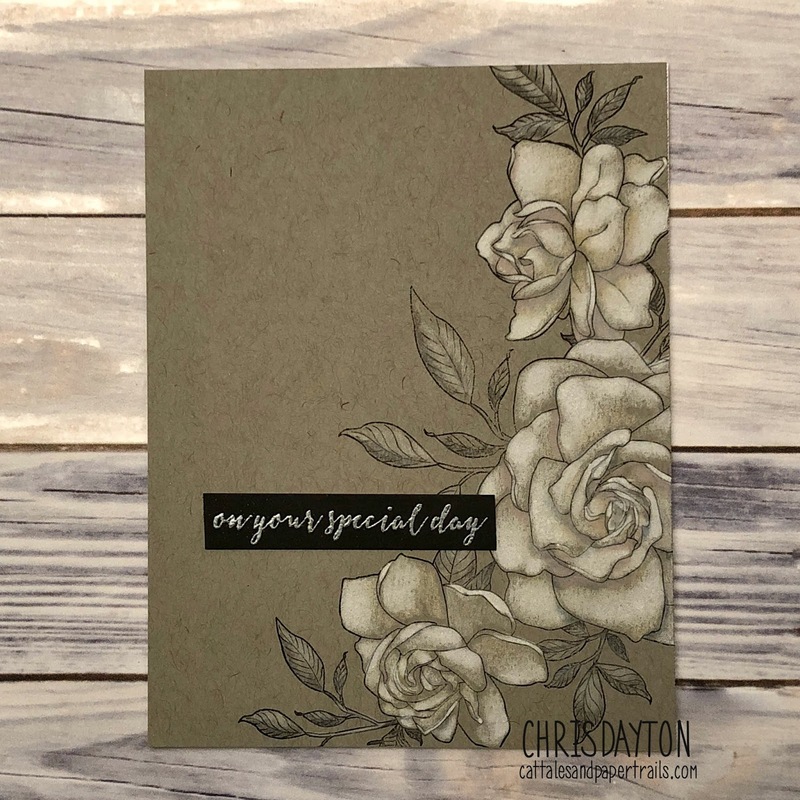 The Ton Stamps always offers beautiful line-image florals that are incredibly fun to color, and Gardenia Wishes is no exception. I chose to make a wedding card, with a white spray of Gardenias, by using Prismacolor pencils on Strathmore Toned Gray paper. I began by adding a bit of cream pencil to the inner portions of the petals, then gradually working my way out toward the ends of the petals with a white, allowing the gray of the paper to show through in areas where I wanted shadows. I added both white and cool grays to the leaves, giving contrast to both the flower and the warm gray of the paper. I added a small black sentiment strip with a greeting from Haute Wedding Dress. I used Copic markers to create my final card, using the Cardinal Friends set. I did quite a bit of masking to create this card. I started by stamping the female cardinal in my foreground with Memento ink. I covered the stamped cardinal with a piece of 3M Post-It tape, and stamped again on the tape, then removed the tape and used scissors to cut the tape into a mask. I replace the mask over the cardinal, then stamped the branch so it appears behind and under the bird's feet. I likewise created a mask for the branch. Actually, I created two, hand trimming each from the stamped Post-It tape. I place one over my first stamped branch, then stamped the male cardinal, and also a mask for him as well. Once I had his mask trimmed out, I put it back in place and stamped another branch beneath his feet, and another over the male cardinal so that some of the foliage appeared behind his head. Without removing any of the previous masks, I added that second branch mask over the branch behind his head, and stamped the final branch in the upper right corner. I then removed all masks and began to color. I used many different red markers to give texture and variation to the male cardinal . I even colored some of the wing feathers with R59, then used my colorless blender to lift away some of the intensity of the red, then replaced color again with a C4 marker to create the deep burgundy color. The female cardinal was colored with a mix of pale yellows, warm grays, E20s and E70. I added additional texture and details to the feathers with Polychromos pencils, and darkened the eyes of the bird to a deep black using a Copic Multiliner pen. I wanted the birds to be the focus of this card, so I did very minimal coloring to the berries and leaves. I added my greeting with Noir ink, then trimmed the panel just a bit, so I would have a tiny border of my deep red cardbase showing. That's all from me today, but there are many more examples along today's hop to inspire you! The complete list of participants is listed below. Your next stop along the hop should be Lisa's blog. Thanks for stopping! Enjoy the hop and be sure to leave comments along the way to be entered for chances to win fabulous prizes! I hope you have a wonderful World Cardmaking Day! The cardinals - swoon!! Pretty cards! oh wow. The pencils on the toned gray cardstock is gorgeous and your cardinal card is awesome! I love the muted color cardstocks you chose. They really POP with the color against them!! 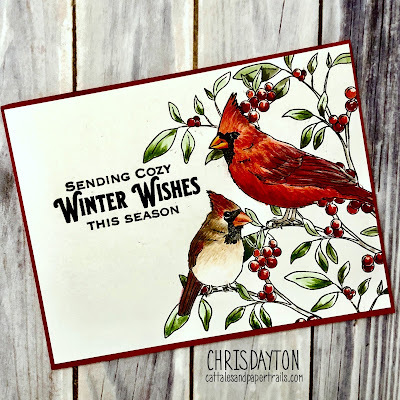 The simplicity of the snowflake and gardenia make the cards, but the coloring and shading of the cardinal cards is outstanding. Great job - love them all. So incredibly beautiful! I love the pencil work! WOW! Both cards are stunning Chris! Love your work! Gardenias are just stunning. Snowflakes are elegant and yet simple enough for me to duplicate and your cardinals... wow! Lovely cards. I love both of them. I was originally attracted to the beautiful flowers, but they are both great. Thanks for sharing. I would love to try that white coloring but mine will probably not turn out as well as yours. beautiful. Omg Chris! What beauty you create! All three different and so beautiful! The cardinal card is beautiful! Oh gosh the cards are to die for. But the gardenia flowers is to awesome. Beautiful work...thank you so much for sharing.....this blog hop is fun today. Wow that Cardinal card is gorgeous. They are all lovely. Love the white pencil on the grey. Beautiful as is all the others. the wedding card is gorgeous. I really liked the white flower card but then I saw the cardinal and WOW is all I can say. Your cardinals are so realistic! And I love the simplicity of the snowflakes! 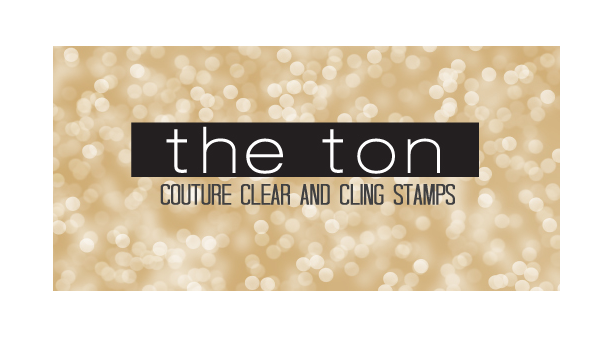 This is the first Ton blog hope I have done and your cards are out of this world gorgeous! You are truly an artist! I'm subscribing just for the inspiration! I was looking for a beautiful wedding card and this is just the one. I love gardenias. Gorgeous gardenia card!!! And those cardinals look great, too. What a great release. Great fall release, Awesome creations! I especially love your white gardenias on kraft! I am in awe of your creativeness! Absolutely gorgeous cards! The CAS Snowflake cards are the perfect card for mass producing so I must have that stamp. The cardinal card is fabulous & the wedding card is breathtaking! I love them all!! You have created such beautiful cards! lvoe the snowflake but also that kraft card is eye catching! Can’t pick a favorite, loved them all! That gray card is gorgeous and I love cardinals. The gardenia card is stunning! Your coloring of these cards is phenomenal...I have always loved your work, but these are...phenomenal! Such realism to each one of your gorgeous cards! And the colors are just so elegant for your cards too! So gorgeous and those cardinals, OMG! 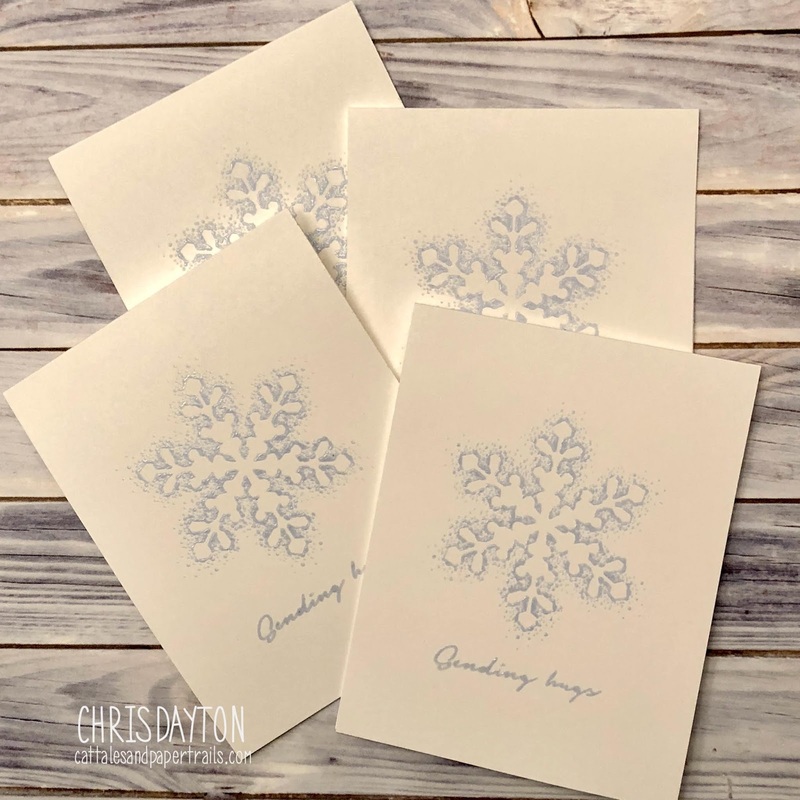 Oh my goodness Chris, the set of snowflake cards are fantastic nad they DO look frosty, love that! The Gardenia Wishes card is simply stunning (I would love to see a video tutorial on that one!) Your cardinal card is awesome as well. You have certainly done a wonderful job on all of these! Your cards are beautiful. I don't tend to use pencils but your work has inspired me to try them. I especially like the Gardenia card. Thank you for sharing. Your cards are absolutely STUNNING! I love them all but, the Gardenia flower card is my favorite. Absolutely gorgeous! All three cards are...I just can't come up with words. Thank you for sharing. Beautiful work! I fell in love with the gardenias, then I saw the Cardinals. Wow! Just gorgeous! Beautiful cards, especially the Cardinals!! I love how classic your cards are and the various techniques you used! 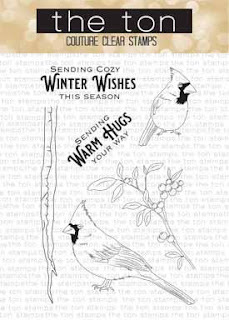 Love those gorgeous cardinals and the lovely snowflakes! Beautiful cards! Wow love the cards. Wonderful idea with the white garden is. Love the cardinal card! So pretty! OMG, your gardenias are drop dead gorgeous! Wow! Love all your cards Chris! The snowflake is my favorite - CAS and elegant! THanks for all the inspiration! 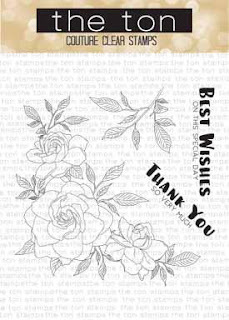 I love your gardenia card, such detail!! But that cardinal is perfectly stunning!! You are very talented!! Beautiful cards! Your gardenias are stunning! Chris Dayton, your coloring is just amazing! So beautiful! Very pretty cards. I like the simplicity of the snowflake cards. Your talent never ceases to amaze me! The wedding card is by far one of my favorite - and your use of the prismacolors to create the tones makes it so simple, yet breathtaking! Gorgeous cards! Beautiful coloring on the flowers and cardinal! Amazing inspiration! I love the clean and simple designs of the snowflake cards. The craft card is simply stunning and the cardinals are so wonderfully festive. What a stunning collection of cards you have created! I Love the sweet simpleness of the snowflake card set all the way to the complex detailed coloring of the cardinals. Beautiful! Wowza, your cards are simply stunning - all are so beautiful that I wouldn't be able to choose a favourite! If I absolutely had to, I'd go for the second card, but I truly love them all! Fantastic Masking with your cardinals! All your cards are beautiful. Gorgeous work on these lovely cards. Thanks for sharing your creativity.